Stephen Fishwick doesn’t just create art—he “attacks” it. Known around the world for his thrilling live “Art Attack” performances, Fishwick has an uncanny knack for infusing his paintings with life, color, and movement. 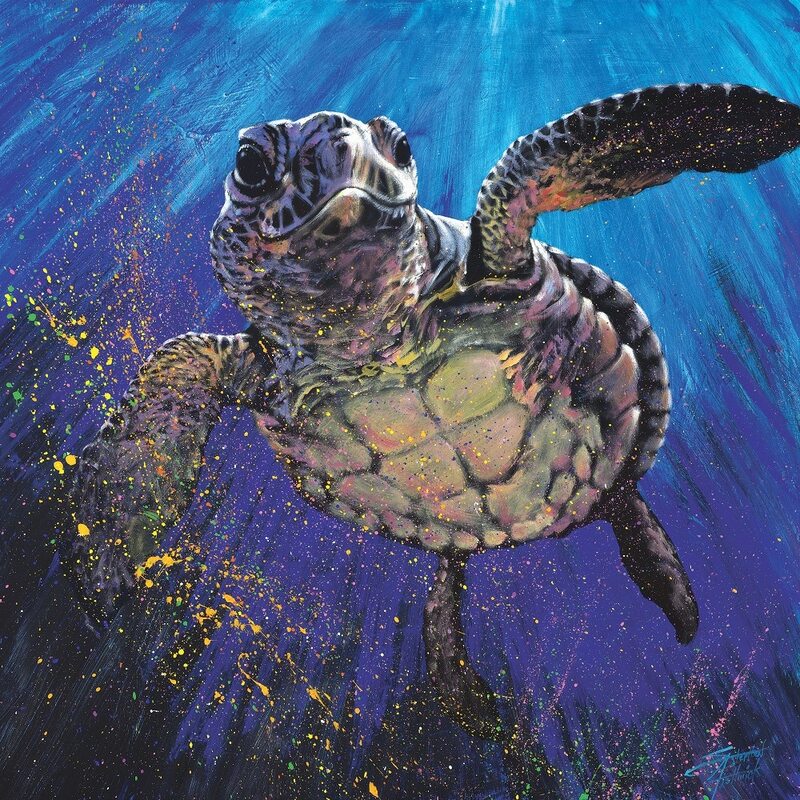 For over two decades, he’s painted everything from wildlife to pop culture icons. 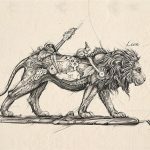 He was named an official “Disney Fine Artist,” which allows him to paint Disney characters and have his artwork featured in Disney parks all over the globe, and he’s been licensed by the estates of legends like Elvis Presley and Bob Marley. Fishwick is also a passionate wildlife conservationist, and his efforts have raised over $1 million for different charities. 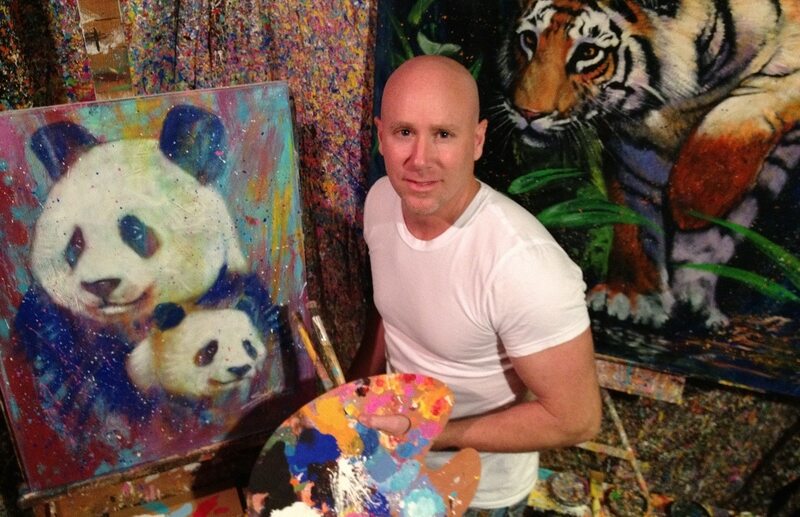 He even has his own “For Life” collection of art where proceeds go to support endangered animals. We were lucky to talk to Fishwick recently about his career, his live performances, and his artwork. Enjoy this exclusive interview with artist Stephen Fishwick! When I was ten years old, I told my mom I wanted to be an artist when I grew up. She informed me of the struggles of being a starving artist, so I promptly exclaimed, “Then I guess I’ll just be Spider-Man!” I did poorly in school because I have dyslexia. I wasn’t diagnosed with it until I was halfway through my senior year, so I just thought I was dumb and gave up trying in school. But I excelled at art at an early age because it was something I could do well. I truly don’t recall a time in my life where I didn’t view myself as an artist. Music, movement, and motion. Many artists paint from the wrist. I paint from the hips. No matter the subject—from animals to icons, from sunsets to dancers—I am trying to bring movement, rhythm, and sway to everything I see. Even if I am painting an old man sitting on a park bench, I want to convey the weight of his whole life in his pose and posture. I’m inspired by living things that have their own stories to tell. 3). Have any particular artists influenced your art? I have been influenced by many artists, including, but not limited to, the great illustrators like Norman Rockwell, N.C. Wyeth, J.C. Leyendecker, some of the rock stars like Picasso, Warhol, and John Singer Sargent, and even some of my contemporaries like Sebastian Kruger, Michael Flohr, and Roy Tabora. But the artist who has probably influenced me the most is Salvador Dali. Not that I have ever gravitated toward Surrealism, but the skill level, imagination, and sheer bravery in how he interpreted his thoughts through his paint brush has had a tremendous impact on my artistic journey. 4). Your high-speed live painting performances—which you call “Art Attack”—are one of the highlights of the collecting events you attend. How did you first come up with the idea for Art Attack? I started painting live in 2003 when a worship pastor at my church asked me if I could paint on stage during the music portion of the service. I said, “Sure, how long do they play?” He said, “About ten minutes.” I started doing giant portraits to music at a very quick pace and loved the spontaneity that occurred. A member of the church was an event planner and asked me to paint for Honda at an upcoming corporate event. The very next year, the San Diego Zoo asked me if I could put together a live painting show for the summer, educating audiences on the plight of some of the world’s most critically endangered animals. The rest is history. Within a year, I was bringing my art and conservation message to different countries and venues all over the world. 5). Have you ever had an Art Attack performance go disastrously wrong? I wouldn’t say I’ve had a performance go “disastrously wrong,” but I have had mishaps and spills on stage. That’s just like life and you learn and grow from all those experiences. 6). Your work with animal conservation charities, particularly through your For Life Collection, is incredibly inspiring. What led you to become so interested in the plight of endangered animals? My love for animals started at an early age growing up on a small farm in Ohio. I would draw and paint all of the animals we cared for. Right out of art school, I was hired to draw quick sketch portraits and caricatures in theme parks. At nineteen, I was working at Busch Gardens, Florida, and then at Sea World in Florida. 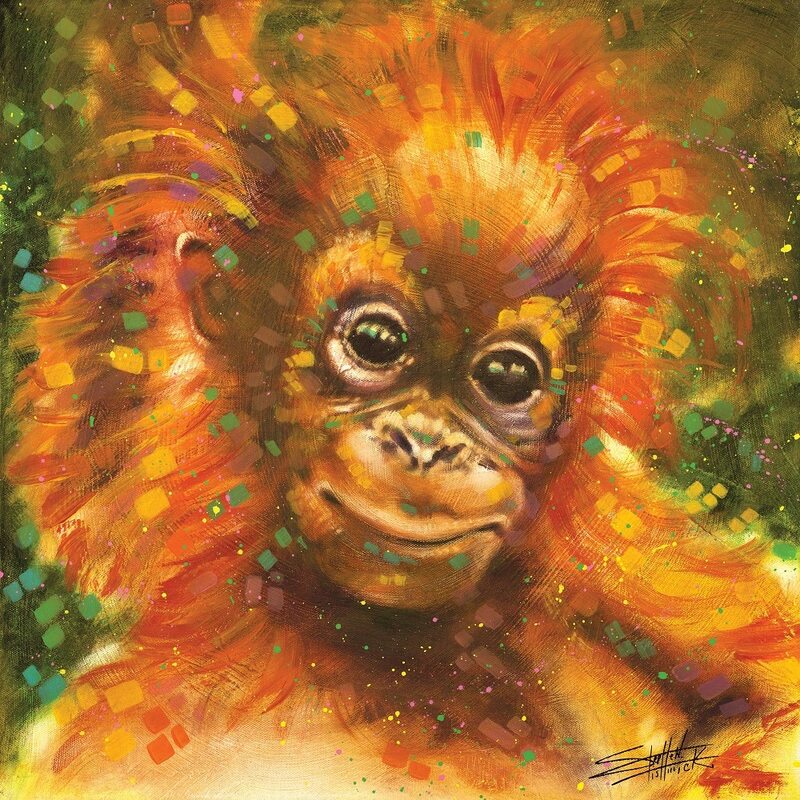 I had gone from drawing farm animals to drawing and painting elephants, lions, tigers, and orangutans live. I would spend every day going off into the park with my sketchbook to draw and paint some of the most majestic creatures God created. I was quickly asked to work with some of the world’s leaders in these conservation movements—from Jack Hanna and Joan Emery to the San Diego Zoo, Sea World, and the World Wildlife Fund. My goal is to bring awareness to the world of the animals that are in danger of going extinct. 7). You’re also known for painting pop culture icons—everyone from Elvis to Disney characters. Do you have any particular favorites to paint? Elvis Presley was the first Icon I started working with. I have always been a huge Elvis fan and was very honored when [his estate] reached out and asked me to paint for them. Jimi Hendrix and Bob Marley’s families came on board next and, over the course of the next decade, I was working with some of the biggest names in music. I am blown away by the many estates I have had the privilege to work with. 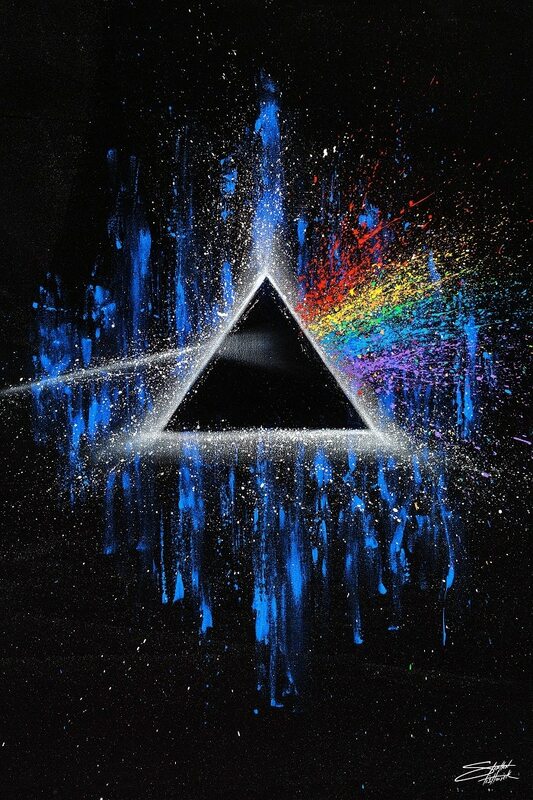 Bands that my brothers and I listened to like Pink Floyd, AC/DC, David Bowie, and KISS are some of the ones I have had the most fun with. But Disney is probably my absolute favorite because I remember doing drawings of Mickey Mouse ever since I could hold a pencil. I want my story and artwork to move my collectors’ souls. I want to connect with people and inspire them to do things they never thought they could do. To live out their passions and dreams and for my artwork to be a reminder of that message and that passion within them. Building forts, bouncing on trampolines, and surfing with my family. Blue and orange. Together. I have to force myself NOT to paint with them every time. 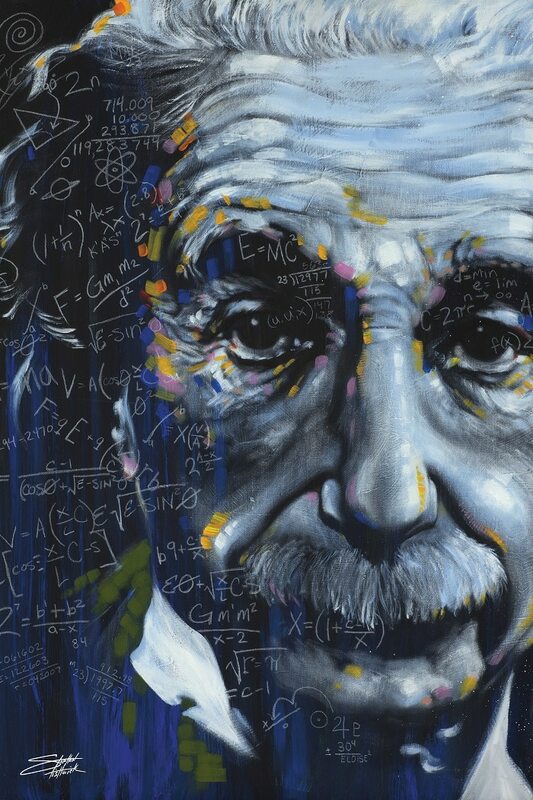 To collect the artwork of Stephen Fishwick, contact our gallery consultants at (800) 521-9654 ext. 4 or sales@parkwestgallery.com. We met Stephen Fishwick last year in Ashville at the Parkwest Event. We acquired 2 of his paints. We were especially impressed with his style of painting and the wonderful results. One of the paintings that we bought was called “Wild Horse” which he painted at night after he had been introduced to us. He stayed up to about 5 o’clock in the morning. We talked to him a number of times and enjoyed it very much. I have asked Parkwest employees on Norwegian and Carnival ships if they know of him and when they expect to have some of his painting available on ships. Only 1 individual had ever heard of him and he did not have any idea when his works would be available. I can only encourage you to get his artworks available quickly so the other people on a cruise can enjoy it.